It sounds like a scene from a disaster movie – mass power failures, plane crashes, satellite disruptions, & train derailments. 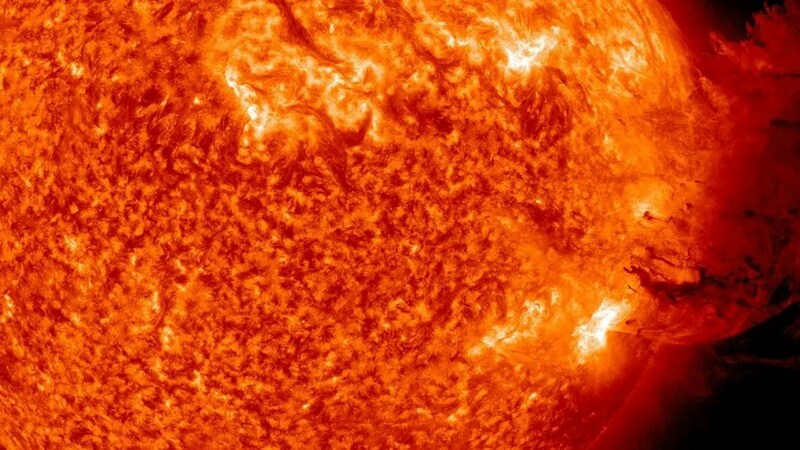 These are some of the threats modern society would face in the case of a massive solar storm, according to a new document released by the U.K. Department of Business, Innovation & Skills. The “Space Weather Preparedness Strategy” outlines the disturbances that could be caused by unpredictable solar weather. The most striking find from the report is the fact that a country would have only a 12-hour warning period before the storm would hit the planet. The worst possible scenario would be a coronal mass ejection of plasma from the sun, during which the corona – that bright glow seen encircling the sun during a total solar eclipse – detaches, shooting off X-rays & high-energy particles directly to the Earth. To prepare for this kind of storm, countries need to set plans in place to respond quickly, design safeguards in power & communications infrastructure, & send out clear alerts & warnings to the public, the report suggests.